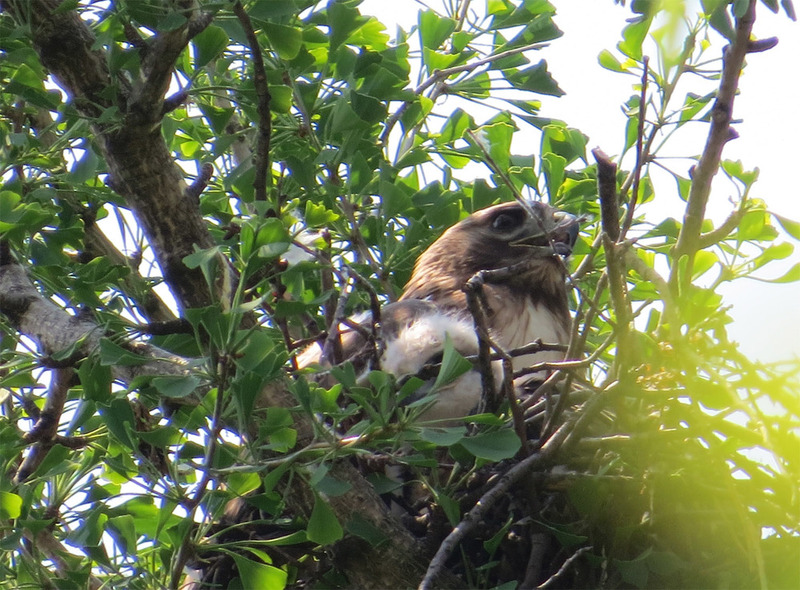 Christo and Dora, the Tompkins Square Park red-tailed hawks, have three little babies high above the park in a tree close to Avenue B. I visited them yesterday, with great photos. A video celebrating the nest is below. It covers visits on April 25, May 5, May 22 and May 28. In the photos below, Christo is in the first photo, Dora is mantling the kids from the sun, then goes to church. 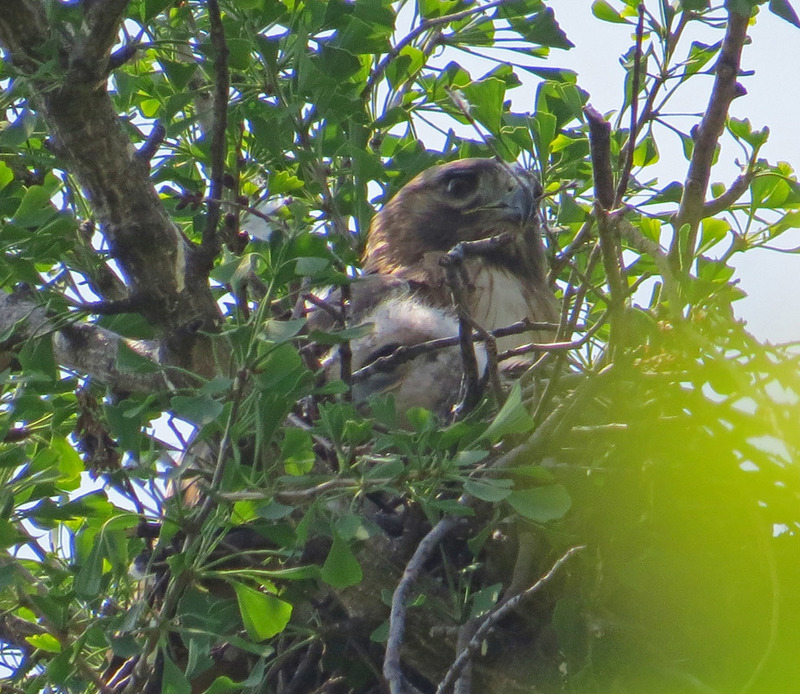 A note: Laura Goggin has a terrific blog about this hawk family.